As an interior designer, I must first be a good listener and then a good advisor. 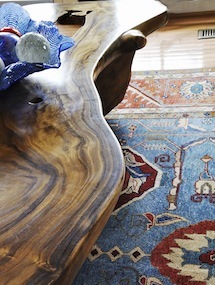 Each of my clients comes to the table with unique ideas of how they would like their home to look and feel. It is my responsibility to listen to their thoughts and develop their vision with a tasteful design plan that reflects their personalities and lifestyles. Throughout this process, I share my expertise to help educate my clients about the principles of sound design that I have learned through many years of practice. A house is not a home until my client has made a personal contribution to the finished product. Whether it be artwork, accessories, family antiques, or valued possessions of any kind, my client's personal belongings give the house its inherent character. I respectfully work within the budget allowed and welcome the creative challenge that a limited budget presents. Often a space may be transformed with just the right paint color or by simply rearranging. No project is too small to be of inspiration to me.